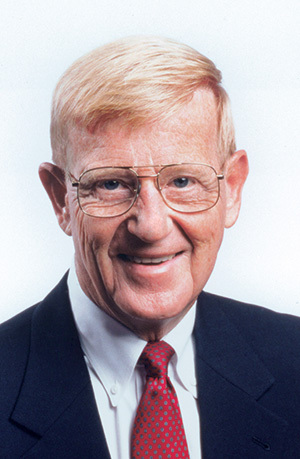 DOWNERS GROVE, IL—Legendary football coach Lou Holtz will headline an all-star lineup of the nation’s top financial advisors during the DuPage County 2017 Retirement Expo on Thursday, June 29, 2017, at the College of DuPage’s McAninch Arts Center in Glen Ellyn. The event is sponsored by Brookstone Capital Management, Perkins & Zayed, and Prizm Financial Advisors, and all proceeds from the event will benefit the DuPage Foundation. Perkins said the program’s financial experts will have meaningful insights for everyone—regardless of their level of interest and experience. “These men have helped thousands of individuals develop their future incomes and focus their planning,” he said. Holtz, a former coach at the University of Notre Dame, will be joined by a uniquely qualified group of financial experts headed by Dean Zayed, CEO at Brookstone Capital Management. “Coach Holtz has established himself as one of the most successful college football coaches of all time,” said Andrew Anderson, an associate advisor at Prizm Financial Advisors. Holtz has served as a college football studio analyst on ESPN from 2004-2015. He appeared on ESPNEWS, ESPN College GameDay programs, SportsCenter and as an on-site analyst for college football games. For many years Holtz has been considered among the greatest speaking legends in America. His talks focus on overcoming seemingly impossible challenges by setting your own goals and working to achieve them. He has built a reputation as a motivator, a demanding disciplinarian and someone who relishes challenges and hard work. Tickets for the event are $25 per person with all ticket sales benefiting the DuPage Foundation. The financial expo begins at 6:30 p.m. Doors open at 5:30 p.m. Tickets are available online at www.DuPage2017.com. For more information about the event’s sponsors, Brookstone Capital Management, Perkins & Zayed and Prizm Financial Advisors, please visit www.brookstonecm.com, www.trust-lawgroup.com and www.prizm-financial.com, respectively. Investment advisory services offered through Brookstone Capital Management, LLC (BCM), a registered investment advisor. BCM, Perkins & Zayed and Prizm Financial Advisors are independent of each other. Insurance products and services are not offered through BCM, but are offered and sold through individually licensed and appointed agents. Lou Holtz is a paid speaker and his presentation should not be construed as an endorsement of services provided by Perkins & Zayed, BCM or Prizm Financial Advisors. of DuPage County by making grants to not-for-profit organizations working in the areas of Arts and Culture, Education, the Environment, Health, and Human Services. 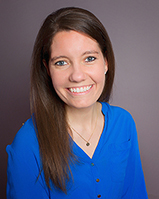 Since its inception, the Foundation has built its endowment to more than $65 million and awarded nearly $30 million in grants to not-for-profit agencies serving the residents of DuPage County and beyond.